If you love to dance to Zimbabwean-style marimba, this is for you! FREE! If you are a fan of music and dance from around the world, check out the Cultural Crossroads Festival at Crossroads Bellevue, March 8-10 – All performances are free! The festival, produced by Crossroads Bellevue and VL Cultural Productions, features some of the area’s best ethnic entertainment on two stages, an international bazaar, and exhibits. Mokoomba will bring their irresistible mix of African pop and traditional sounds back to their North American fans in a five-week tour starting June 1. Hailing from Victoria Falls, Zimbabwe, Mokoomba is one of Africa’s most exciting live bands, dazzling audiences worldwide with three albums and knockout live shows propelled by a potent blend of traditional Tonga and Luvale rhythms laced with funk, soul, soukous and other pan-African sounds. Join us at the Triple Door and dance to Zimbabwean marimba! It isn’t often we get to hear marimba ensembles in night clubs. NOW is the time, and the Triple Door is the place. So come on down and bring your dancing shoes! Who’s performing: Anzanga, Zambuko and Vawachi II marimba ensembles! 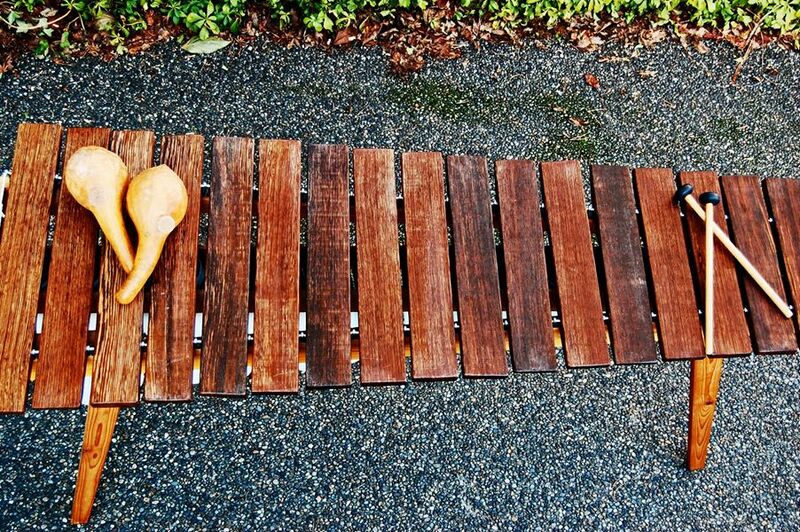 The first group, Vawachi II, featuring veteran performers of Seattle’s marimba scene, will go on at 9 pm. Anzanga Marimba Ensemble, now together more than 20 years, wraps up the evening just before midnight. Happy hour food specials from the Wild Ginger’s kitchen and a full bar as well as a open dance floor awaits. 21 and older please. No cover charge but bring a few $$ for our tip jar, let’s fill this up with LOVE. Marimbas are constantly needing repairs and musicians love to eat and play music. Greetings Afro-Fusion and Zimbabwean music fans! Mokoomba, the exciting Afro-Fusion band from Zimbabwe, will be performing live in Seattle at the Royal Room May 25, and in an intimate House concert May 26. Hailing from Victoria Falls in the NW corner of Zimbabwe, they are setting dance floors ablaze with their unique mix of traditional Tonga and pan-African music cultures with dashes of Rap, Ska, Soukous and Afro-Cuban music. They will be performing a mix of material, from their new album Luyanda. Join us at this intimate meet and greet the artists show! Tickets include gourmet appetizers, wine and beer and a dynamic acoustic show. As you know, the originally planned Oliver Mtukudzi concert has been postponed due to “visa constraints.” The concert promoter has decided to press on. Anzanga Marimba Ensemble, Naomi Wachira, and other Seattle artists will now come together for a benefit for immigrant rights at Columbia City Theater at 8 p.m. this Friday, 2/10. Suggested donation: $20. Proceeds to benefit organizations protecting the rights of immigrants. Go to Columbia City Theater for info. Join us at the Triple Door Musicquarium with Anzanga, Zambuko, and the University of Washington Zim Marimba Club. Bring your dancing shoes! Late night Happy Hour at the Musiquarium brings back the joyful sounds of Zimbabwean marimbas. Remember Dumi and the likes of the Bombay Bicycle Club in Pioneer Square and the Bistro in the U-District? It’s time to hear it again, presented by the Triple Door. Musically rooted in traditional Zimbabwean and other styles of African music arranged for marimba, these ensembles perform on marimbas of different sizes and pitch ranges: soprano, tenor, baritone and bass. All three bands will play one blistering set each of high energy Zimbabwean marimba music!